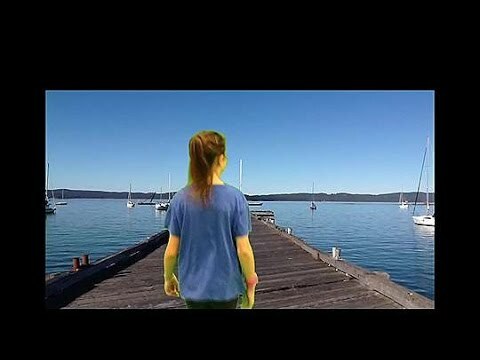 Students studied the novel Blueback by Tim Winton as part of an integrated unit that included English, Drama, Dance and the creation of a film trailer as a Media Arts summative task. They developed and planned their own sequences based on the novel's characters and plot. They used the iMovie Trailer app to combine and manipulate their performances recorded on iPads and used other conventions and texts to complete their artwork. In this process, they made technical choices to digitally communicate plot, situation and mood to an audience. By the end of Year 6, students explain how points of view, ideas and stories are shaped and portrayed in media artworks they make, share and view. They explain the purposes and audiences for media artworks made in different cultures, times and places. Students work collaboratively using technologies to make media artworks for specific audiences and purposes using story principles to shape points of view and genre conventions, movement and lighting. By the end of Year 6, students explain how ideas are communicated in artworks they make and to which they respond. They describe characteristics of artworks from different social, historical and cultural contexts that influence their art making. Students structure elements and processes of arts subjects to make artworks that communicate meaning. They work collaboratively to share artworks for audiences, demonstrating skills and techniques.